Formerly the Spanish Chamber of Commerce, No. 5 overlooks the beautiful Cavendish Square. There is a great ground floor bar serving a wide selection of drinks and with velvet seating on the ground floor you can really relax whilst drinking some fine drinks. Leading on you arrive to a lovely patio garden which is really great for summer time so you can step away from the rush of the club and catch some air. 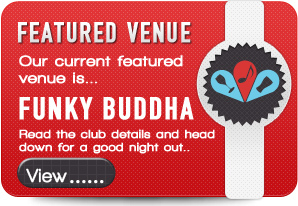 There is a VIP room available for hire for up to 35 people which comprises great décor, its own bar and DJ facilities. Drinks are priced accordingly to this high end venue so prepare to pay true London prices. Entry on Saturdays is free for girls before 11 and £15 for guys all night if on guestlist, otherwise its £20 for everyone. With sumptuous decor and a highly professional service the atmosphere is just great here. It does tend to bring in a slightly older crowd of over 24’s so expect a more mature night rather than a clubbers paradise. This relaxed, stylish venue is full of classy, gorgeous people who although slightly older are still up for a good night and there’s this great positive vibe throughout the whole venue.